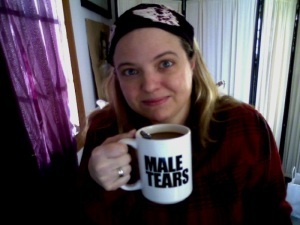 Home » .News » WHY ARE WE STILL HAVING THIS DISCUSSION ABOUT WOMEN IN COMICS? WHY ARE WE STILL HAVING THIS DISCUSSION ABOUT WOMEN IN COMICS? 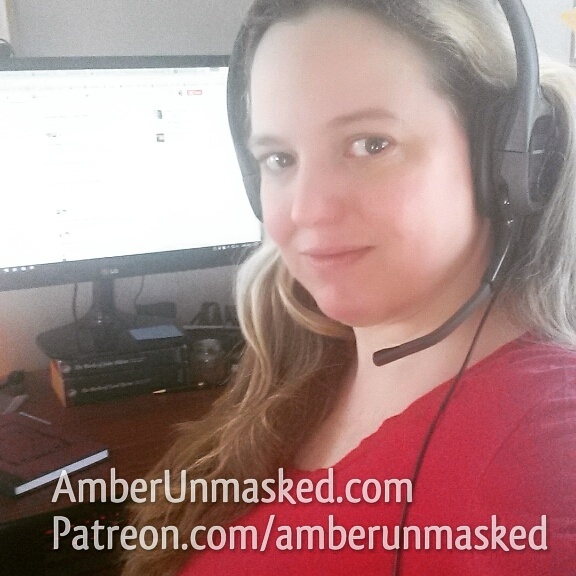 AMBER LOVE 12-FEB-2015 I’m honestly too exhausted over this conversation to get into a whole lot of analysis and detail about the disparity of representation in comics content and workforce. Today, two of the larger successful companies had images posted to Twitter showing their bright, smiling staff. It was only about three weeks ago, I pointed out how a successful indie publisher that has been around for 25 years, hired three more men in one week for their ALL MALE staff. And we are again. Days after DC’s big announcement “adding” women to their roster. 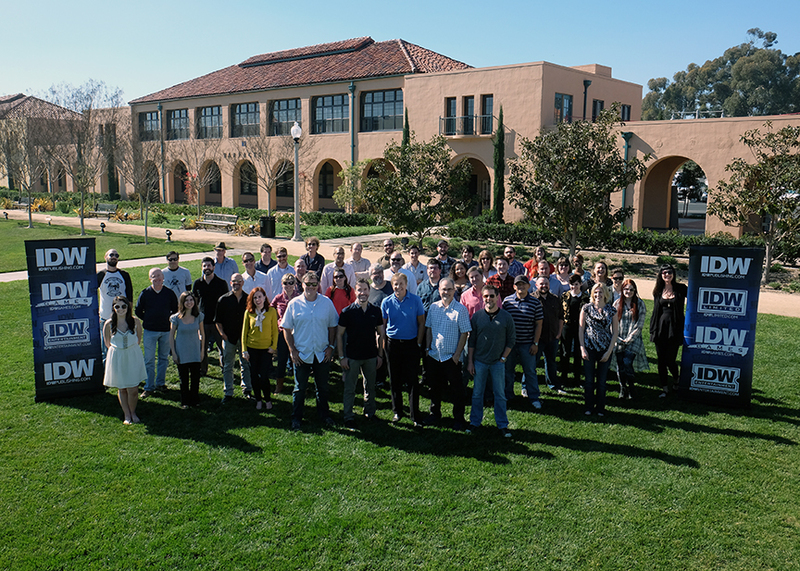 IDW is moving to a larger building in San Diego to accommodate for growth. They will also have a new art gallery in their HQ which is pretty cool. What you never see is IDW bragging about their gender ranks. They don’t have to. Just look at the photo. And that doesn’t even include creators who freelance from home like Katie Cook and Amy Mebberson. IDW and their various entertainment branches, seem to get it. Women are interested in pop culture and entertainment and not only to cosplay. They are intelligent and could contribute to an entertainment company’s global vision. This week, DC Comics took only certain members of their staff and creative force on retreat for the DC Talent Conference. I know it wasn’t everyone since I saw creators tweeting about how they weren’t invited. Marvel retreats are done the same way. HEY LOOK WE GOT THE WIMMIN UP FRONT AND CENTER SO THEY CAN’T BE MISSED!! SEE THEM ALL!!!! Now, it was only a couple of days ago that DC announced their latest plans for a reboot of the DCU. They were praised left and right on the comic book and feminist blogs for adding female creators to the roster. So… there’s what? Five? Six? Am I the only one looking at the picture from the Talent Conference and seeing an obvious gendering? Were the new hires not welcome? 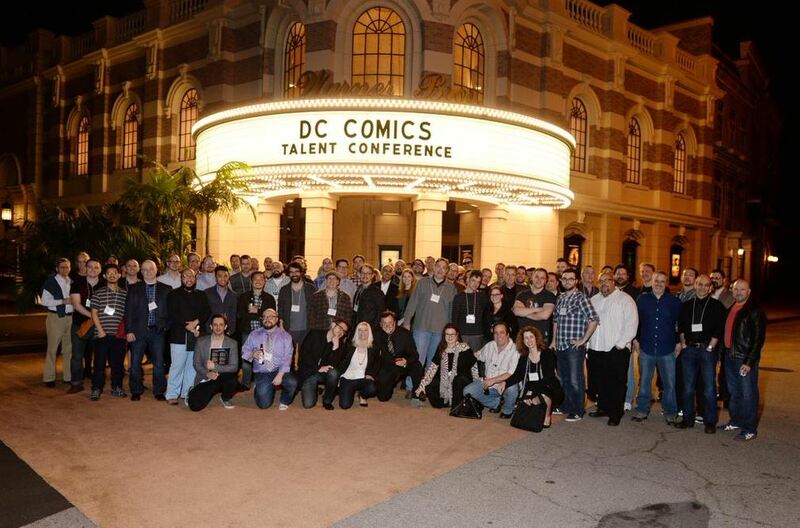 Are only DC-exclusive creators invited to their Talent Conference? There were male creators missing too. Considering how huge their catalog is, I guess they couldn’t afford to host everyone, not even Darwyn Cooke. I don’t have the answers, but I can tell you this photo and the tweets are not giving me any more faith in DC Comics than I had a year ago which is sad because I read the announcement and thought, “okay, baby steps, I guess.” Am I the only one that sees the difference between the IDW and DC pictures? I can’t be. As it is, one of the creators mentioned in DC’s 2015 reboot announcement, Irene Koh, was mistakenly credited with being on the new punk rock BLACK CANARY so that’s actually -1 female creator from that list they issued. Koh is doing art for SECRET ORIGINS: BATGIRL. Her +1/-1 on the tally is going to net itself out. I found out because I put my foot in my tweet by congratulating her on the BLACK CANARY deal and she pleasantly replied that it was an error. “This heralds in a new era for the DC Universe which will allow us to publish something for everyone, be more expansive and modern in our approach and tell stories that better reflect the society around us,” said DC Entertainment Co-Publisher Dan DiDio in a press release. Dan DiDio states that this reboot will better reflect the society around us. Well, sure – the “society” around them in the DC offices is apparently still a sausage fest. Yay! IT’S NOT STAFF – IT’S CONTENT & MERCH TOO! Also this morning, my friend and writing past writing partner, Kristen McHugh, posted the Disney merchandise for FROZEN she found in a store. There was more to buy for FROZEN in the men’s department! FOR FROZEN! A DISNEY PRINCESS BLOCKBUSTER ABOUT SISTERS! Comments Off on WHY ARE WE STILL HAVING THIS DISCUSSION ABOUT WOMEN IN COMICS? I am a squirrel in a chain with Mindy Kaling.